If you’re the parent of a young athlete or if you play any one of a dozen different sports, you might be wondering, “what’s the best video camera for sports shooting?” Selecting the best video camera for sports can be a difficult task because there are so many choices on the market. We’re going to break down your best options for sports shooting into several categories. If you’re interested buying in a tiny camera that you can mount to shoot sports– say, a camera to attach to the back of a soccer goal, or above a basketball hoop, or even on the end of a hockey stick, a GoPro is a natural choice. You can mount their cameras on poles, goals, handebars, helmets and even your chest using their action camera mounting kits. GoPro has made a name for itself as being the ultimate small action camera, plus they’re waterproof, dustproof and shock-proof when you put them inside their (included) cases! They’re definitely one of the best video cameras for sports, and the latest GoPro action cameras are smaller and lighter than ever, delivering incredible quality video and still images. They’re also rugged and shoot up to 4K video and HD at high frame rates which allows you to slow the video down afterwards for unbelievable time-stopping slow motion effects which can be especially fun for dramatic sports moments. You may also be interested in considering cheap GoPro alternatives. See also: Which GoPro Should You Get? 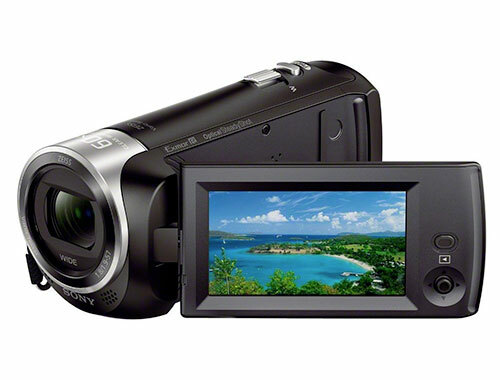 The Sony HD Video Recording HDRCX405 Handycam Camcorder is a terrific choice if you’re interested in a traditional handheld camcorder to shoot sports with that won’t break the bank. Here’s what we love about it: it’s small and light, shoots on ubiquitous and cheap high capacity Micro SD cards, offers good battery life, and most importantly, it shoots in full 1080P HD at 60 frames per second. Have you ever noticed how sports look different when you’re watching them on broadcast television, versus movies? That’s because the best video cameras for sports that the pros use shoot at 60 frames per second, about double the frame rate of scripted fictional content like movies. Shooting sports is all about capturing fast motion and high frame rates can capture all that detail. 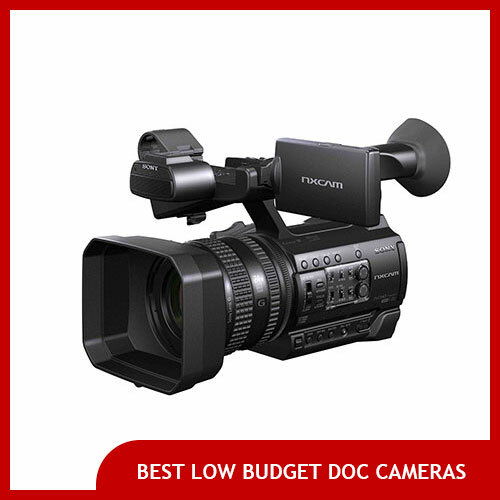 The Panasonic HC-X1000 4K Ultra HD 60p/50p Professional Camcorder is an excellent video camera for sports shooting. Why? Let’s tick off the features: high frame rate recording at 60P for smooth fast motion and slow motion? Check. Ability to shoot in 4K ultra high definition? Check (even at high frame rates!). Super long lasting battery life? Check. Long 20x zoom capability? Check. Super-good autofocus? Check. Manual exposure controls and great audio? Check and check. 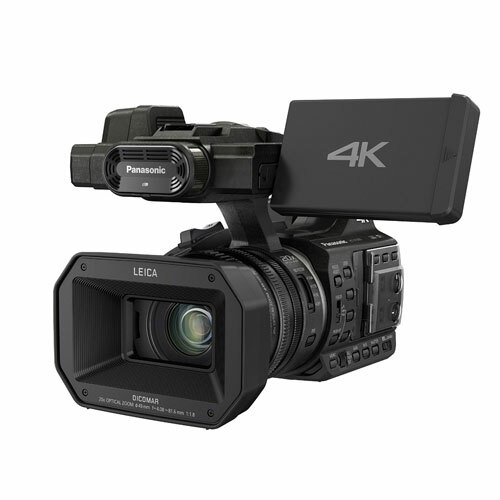 Those are all the components of the best video camera for sports in our opinion, and the Panasonic HC-1000 passes with flying colors. Also consider reading our Panasonic DVX 200 review of a bigger brother camera to the HC-X1000 which offers an even better lens and the ability to capture even more gorgeous cinematic video. How do I shoot slow motion like the instant replays I see on television? For great-looking slow motion footage, you’ll need to shoot at 60 frames per second. Once you’ve loaded the footage on your computer, you can use a video editing program to slow that footage down by about half the speed (or more, or less, depending on your desired effect). If you’re using a GoPro you can use the free downloadable GoPro editing software to slow down your footage. What is the best still camera for shooting sports? You may want to consult this page of still cameras for shooting sports photos to find a great still camera for photographing sports events. You’ll probably want to pick a camera that has a long zoom lens (if it doesn’t have interchangeable lenses), as well as the ability to shoot many still photos per second (burst mode) to capture fast action so you can choose the best action shots later. 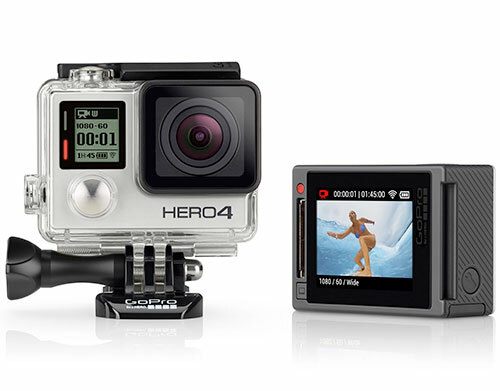 What is the best video camera for extreme sports? For capturing extreme sports where a rugged mountable is needed like mountain biking or white water rafting, we’d recommend getting a GoPro Hero or GoPro Session camera. 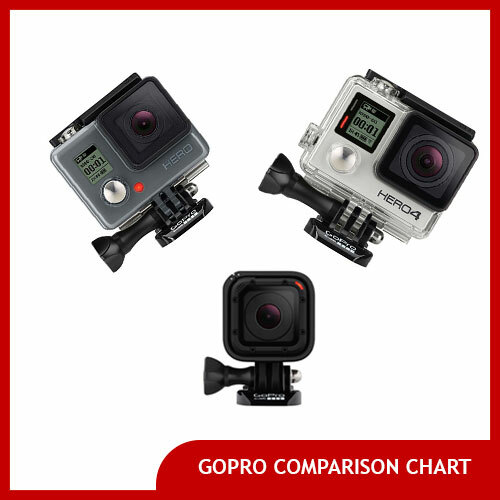 The GoPro Session is a new smaller version of the GoPro which is cube shaped instead of rectangular and is even smaller and lighter than the original GoPro action camera, but still shoots in several high quality modes. One other benefit of shooting with a GoPro is that they also offer a wide field of view, allowing you capture a lot of action close up such as mounted on a helmet or chest. Any other tips for sports shooting? Regardless of what camera you choose, be sure to purchase additional memory cards and rechargeable batteries, because you never know how long an event might end up being, and you don’t want to miss the end of it just because you ran out of battery power or memory space to capture it all (in some cases you might also want to spend a bit extra to get especially large memory cards so you can capture, say, the entire first half of a fast-moving basketball game without needing to swap cards and then swap cards during half-time). Additionally, a tripod can enhance just about any sports video as well as save your arms (if you’re shooting your kid’s entire football game you probably know what we mean by that). Specifically, we’d recommend getting a fluid head tripod which will allow you to easily pan in a smooth fashion, unlike cheaper tripods meant for still photography. Fluid head tripods are only slightly more expensive but will result in much better video. If a tripod seems too much or if you feel too awkward lugging one to a game, you could also consider a monopod instead, which has only one pole but will still save your arms by the end of a long game. 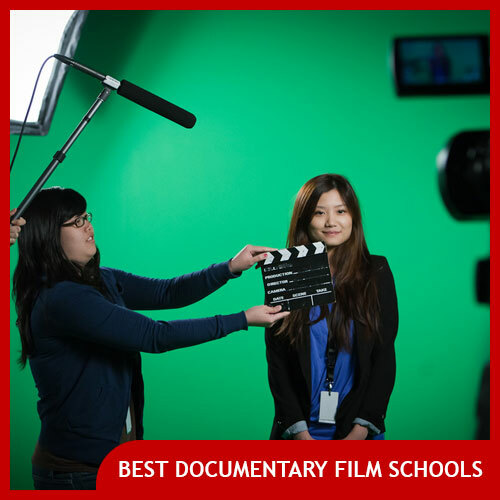 What is the best documentary filmmaking software? 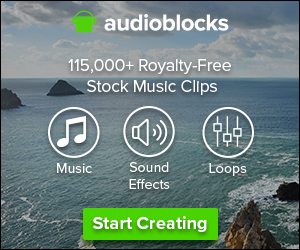 The best royalty free production music?